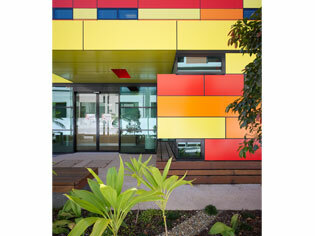 BVN wins another award for Robina Hospital at this year’s Australian Institute of Architects QLD State Architecture Awards. 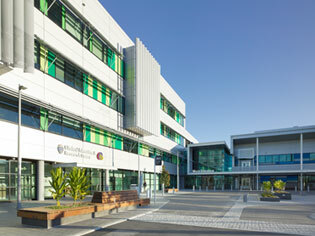 The Australian Institute of Architects’ 2012 Queensland State Architecture Awards were announced on June 22 and a Public Architecture Award was given to the Robina Hospital Expansion designed by BVN. 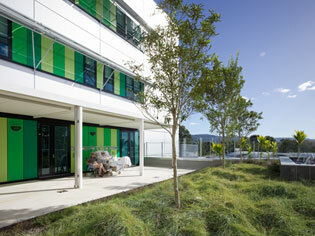 According to BVN Principal Mark Grimmer in charge of the Robina design, the hospital design focused on creating a non-institutional feel that included ensuring maximising natural light and providing views to courtyards and the surrounding hinterland wherever possible. At the urban scale, the new building provides a landmark for those driving in to the town from the freeway, and uses a simple material palette and clean architectural forms to offer legibility to the complex hospital plan. Sustainable outcomes are achieved at both the macro and micro scale. At the master plan level, the design looks ahead to future growth on the site, and establishes an architectural infrastructure to foster further development. 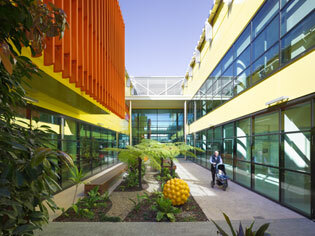 According to Mark, the contemporary hospital is not only a place of support for the patient, but also a modern workplace for highly valued staff, and it was those twin concerns that the design focused on as it aimed to create a healthcare environment which challenges preconceptions of how a hospital should look and feel, and what a hospital experience can be.